Visit The Languid Village Of Mori In Uttarkashi! Embark on a wonderful journey as you travel through time into Northern Maharashtra. Start from the coast far removed from the chaos of Mumbai and delve deeper into the country's interior of the Deccan Plateau, home to attractions like the world heritage sites of Ajanta and Ellora. Witness a technological marvel at Panchakki or visit Lord's Rama's resting place during his exile. Pause at the Daulatabad fort and relive the grandeur and sadness of a city that fell prey to the whims and fancies of a manic ruler. Here is a look at the sights of Northern Maharashtra that you cannot afford to miss. The Aurangabad Caves aren't a patch on Ellora or Ajanta, but they do throw some light on early Buddhist architecture and, above all, make for a quiet and peaceful outing. Carved out of the hillside in the 6th or 7th century AD, the 10 caves, comprising two groups 1km apart are all Buddhist. Cave 7, with its sculptures of scantily clad lovers in suggestive positions, is a perennial favourite. The caves are about 2km north of Bibi-qa-Maqbara. Built by Aurangzeb's son Azam Khan in 1679 as a mausoleum for his mother Rabia-ud-Daurani, Bibi-qa-Maqbara is widely known as the ‘poor man's Taj'. 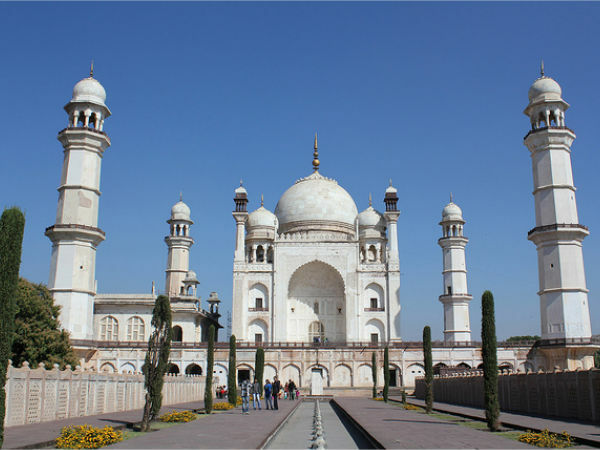 With its four minarets flanking a central onion-domed mausoleum, the white structure bears striking resemblance to Agra's Taj Mahal. It is much less grand, however, and apart from having a few marble adornments, namely the plinth and dome, much of the structure is finished in lime mortar. Despite the use of cheaper material and the obvious weathering, it's a sight far more impressive than the average mausoleum. No trip to Aurangabad is complete without a pit-stop at the ruined but truly magnificent hilltop fortress of Daulatabad, about 15km away from town en route to Ellora. It was named Daulatabad, the City of Fortune, by Sultan Mohammed Tughlaq, who decided to shift his kingdom's capital to this citadel from Delhi. Known for his eccentric ways, Tughlaq even marched the entire population of Delhi to populate it. Sadly, Daulatabad proved untenable as a capital for strategic reasons, and Tughlaq forced its inhabitants to march all the way back to Delhi, which had by then been reduced to a ghost town. This rock-cut temple was built to represent Mt Kailasa (Kailash), Shiva's Himalayan abode. Three huge trenches were bored into the sheer cliff face with hammers and chisels, a process that entailed removing 200,000 tonnes of rock, while taking care to leave behind those sections that would later be used for sculpting. Covering twice the area of the Parthenon in Athens and being half as high again, Kailasa is an engineering marvel that was executed straight from the head with zero margin for error. Check out more of Ajanta and Ellora caves here. Ramtek is believed to be the place where Lord Rama, of the epic Ramayana, spent some time during his exile with his wife Sita and brother Lakshman. The place is marked by a cluster of temples , about 600 years old, which sit atop the Hill of Rama and have their own population of resident monkeys. On the road to the temples you'll pass the delightful Ambala Tank , lined with small temples.